I checked the weather on Sunday morning. Rain until 1pm and skies starting to clear soon after that. 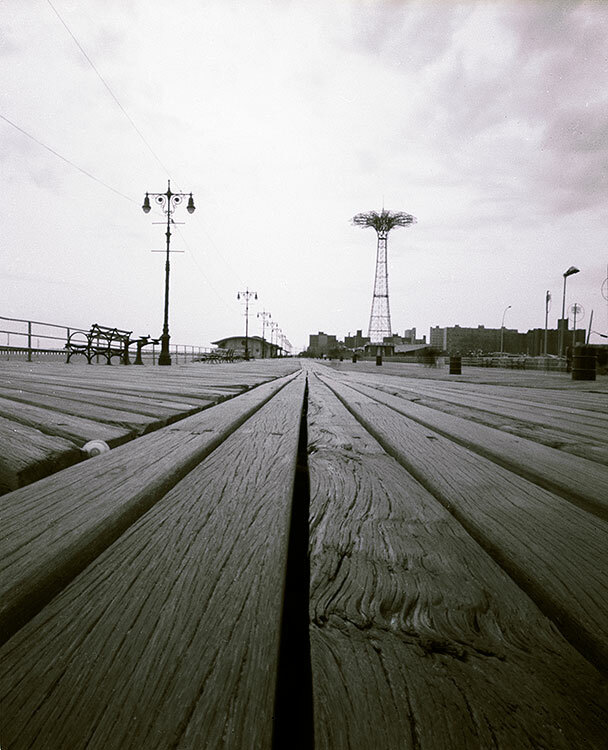 Phew, we had organized a group pinhole shoot at Coney Island to celebrate World Wide Pinhole Day at 2pm. Would the skies hold out? Well, the Pinhole Gods were smiling upon us as we met at Nathan’s Famous Hot Dog Stand a little after 2pm. After filling up on dogs and fries we hit the boardwalk. The sun never really broke out but at least it did not rain! Adam, Amy, Angelia, Matt, Steve, and myself were loaded with over 10 pinhole cameras, 12 4×5 film backs, 1 Fujiroid back, a bad batch of slightly larger than 4×5 Bergger 200 film, a Lubitel, and a lensbaby…we must have been a scene to witness! 3 hours later we made our way back to the nangabe house to develop film and eat lots of meat! We are all still in the process of developing/scanning our images…but this shot of the worn boardwalk and Parachute Jump in the distance was my best shot of the day. This was one of the few cases that I did not use a tripod, instead I placed the camera directly on the boardwalk. 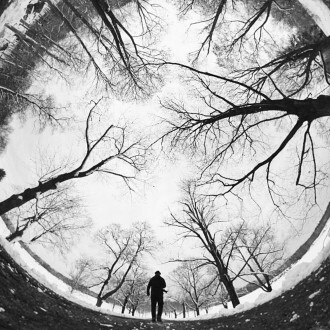 The beauty of the pinhole is that you have an infinite depth of field. It works best to flaunt it and look for composition that challenges this infinite depth. You can see some of Matt’s pinholes and documentation of the day on his flickr site. And stay tuned for some more images from the rest of the pinhole gang that participated in World Wide Pinhole Day 08!